This time yesterday I was standing on a gigantic sandy beach. The sun was shining down from a cloudless sky, miniature waves breaking around the legs of exotic-looking seabirds that probed the sand with long beaks, and I felt like I was in another country. In fact all I’d done was drive two-hours north and a little bit east from my home in Cambridge. Each time I visit north Norfolk I fall a little bit more in love with the British coast. 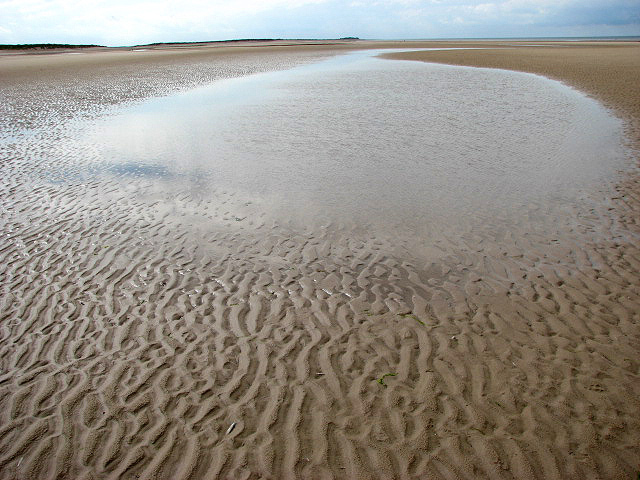 Holkham beach is one of my particular favourites. I’ve only ever been there on quiet spring days, before the easter holidays begin, when the sun is just starting to test out its strength again after a long winter and there’s virtually no one else to share the miles and miles of sand. I love to follow the patterns sculpted into the sand by retreating waves and crunch through piles of empty razor shells – the remainders of a great ocean feast. Down among the waves I found the pulsing remains of a jellyfish (too mangled to identify but still alive), a feathery branch of Bugula plumosa – despite its looks, not a seaweed but a colony of tiny animals called bryozoans. It was a windy day and dried clumps of dead horn wrack (Flustra foliacea another bryozoan that apparently smells of lemons when its fresh) cartwheeled past like marine tumbleweed. 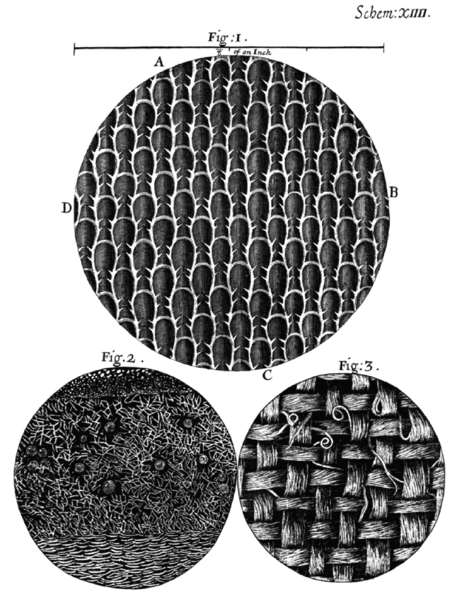 The tiny box-like colonies of the bryozoans Flustra foliacea as seen under a micrscope and drawn by from Robert Hooke in his 1665 Micrographia. I came away from Norfolk this time with a new favourite marine species. 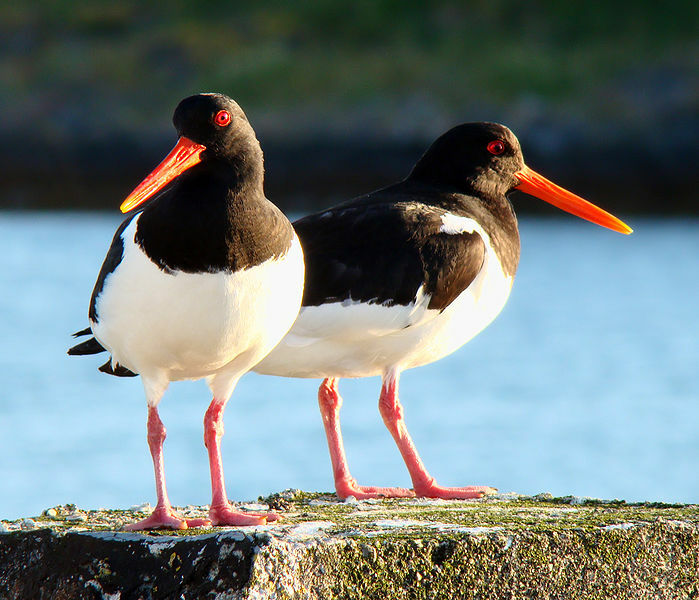 For me, right now, it’s all about oystercatchers. I love their bold black and white costumes, set off with a pair of elegant red legs and matching beak and eyes. We chuckled at them scurrying through the shallows, holding their body level, legs scampering away beneath them. They seem to be reluctant fliers but when they do take to the air, the sturdy oystercatchers reveal the stunning V-pattern across their backs making them easy to name as they fly by. And at another of my best beloved spots on the Norfolk coast I saw a marine spectacle I’ve never seen before. From the pebbly beach at Cley (pronounced ‘cl-eye’) I gazed out into the North Sea at my first offshore wind farm. Many of the Sheringham Shoal turbines are already turning (more are being made) and from my beach perspective they seemed to dip their blades into the sea. As with all such grand engineering schemes, there are plenty of people who hate the idea and the reality of this development. Personally, I think the turbines look great. Certainly not a blight on the landscape and all the more poignant when you notice that the low-carbon technology of today is facing our much earlier attempts to harness power from the wind. At Cley a 200-year old windmill sits among tall reed beds looking out to sea. The old windmill no longer grinds flour but has been converted into a lovely B&B and I wonder how much of the electricity it uses comes from the turning blades of its modern offspring, just offshore.